People undergo Whole30 for many reasons, weight loss, desire for more healthy eating habits, and understanding bad food "triggers" you might have. Mine was more of a healthy "cleanse" and countering the glut of gluttony in March and April. Not that I have an issue, but once in awhile, it feels good to rid the body of all toxins including alcohol not to mention my insatiable sweet tooth and the results around my middle. In my previous post, I chronicled the gauntlet that is the airport. Arriving to the terminal on an empty stomach is not recommmended at all . Bad...very bad idea. Travel has been more than a bit tough for me this time around including client dinners, "What to eat at an India restaurant," and difference in bacon from a Marriott Residence Inn, Courtyard, and Marriott property. Quite a bit actually. With that, I've come up with a list of things that's helped me make it through my first Whole30 and 18 days into my second round. Yes, Whole30 is a carnivore-loving diet plan that lets you eat all the meat you want. Processed foods are a "no-no" so you have to be a careful "label watcher" to look for hidden ingredients like nitrates and meats heavily-laden with words like "maple." Regardless of how pure their form, sugar and sugar substitutes and neighbors like honey and chemical versions with a "trose" suffix are verboten. Last week, I hit a local favorite pancake house knowing they had good-old fashioned slab bacon. Yes, I went to the candy store and didn't eat candy, but they knew how to cook an egg with a side of bacon. Larabars. 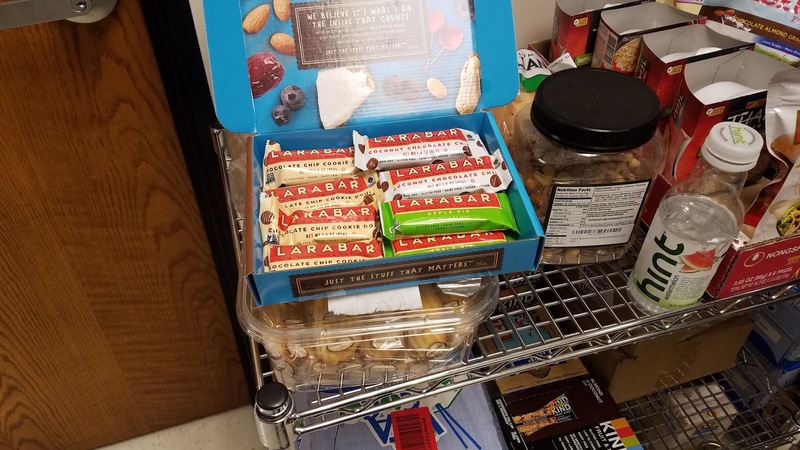 They are a Colorado-based company (Lara actually lives nearby) and with few exceptions (like the cookie dough flavor) are Whole30 compliant. They have no grains and use nuts and dates for the structure of the bars but it tastes so good you think you're doing something wrong...thus, SWYPO. Blueberry, Apple Pie...OMG! So Good! (and NOT a paid endorsement.) 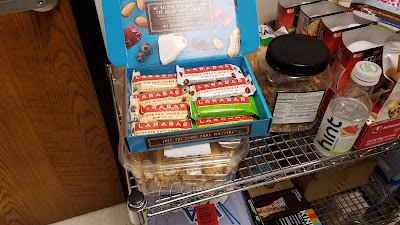 I turned my CEO onto them and they're now stocked on our corporate office kitchen shelf--nice! I've met very few people who don't like avocados and I'm an avocado lover so this is a perfect marriage. Slices on a burger (with a slice or two of bacon) is a great meal option as is guacamole. Fresh guacamole is likely 90% safe as it typically adds tomatoes, onions, cilantro and the like. Sprinkle with heavily processed garlic salt and you have to hit the reset on your 30 days. I make a habit of asking what ingredients go into things like guacamole or aioli sauce. If you make at home, you obviously have control over fringe "danger ingredients." When I'm home, I frequent Mod Market restaurants which offer healthy options in a fast food delivery that typically understands a variety of dietary concerns. 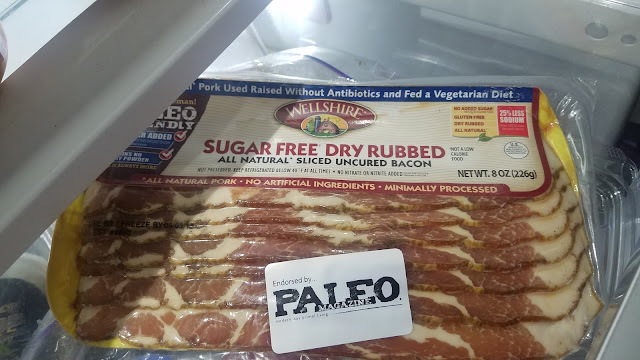 The one by my old house knew Whole30 well and kept me on the "staight and narrow." If you're vegetarian or vegan, you'll have challenges with the carnivore-centric nature of Whole30. Somewhere in the first week, you'll get tired of grilling burgers. Many oils (grain and legume-based) are taboo so just because you're cooking meat does not mean you're legal. Like salads, you can start out with a healthy base, but lather on toxic (by Whole30 standards) dressing or sauces then you're off to Whole30 confessional. "Forgive me Father, for I have sinned, I had pork last night and lathered it up with KC Masterpiece BBQ sauce" (which has 13 grams per serving of two tablespoons. I haven't done KC, but a legal and flavor-rich option are the line of Tessemae sauces. Whole (paycheck) Foods carries them as does some of the more mainstream grocers like Safeway. 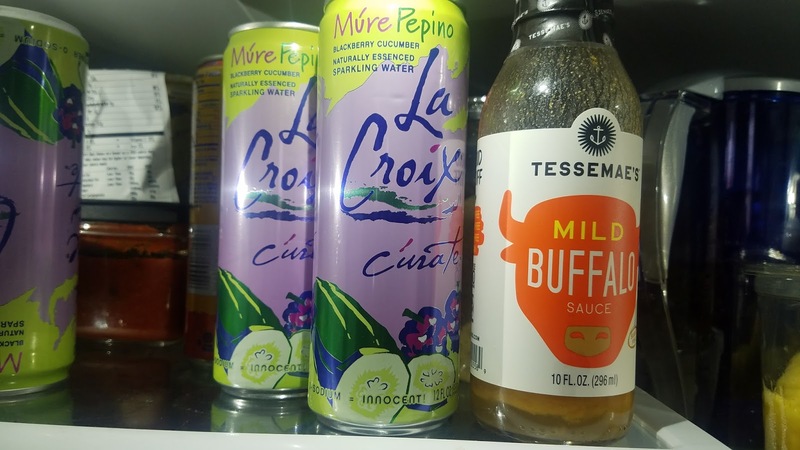 Read your label to double-check, but you've got some great options including their Buffalo Wing sauce. (I just "gleeked" on my computer screen) and Organic Creamy Ranch. My last item is a new one for me and that's a line of meat products by Applegate. An American hot dog as an example is like four strikes; bun, relish (has sugar,) ketchup (loaded with sugar,) and the laundry list of bad crap in the hot dog itself makes it a non-starter. 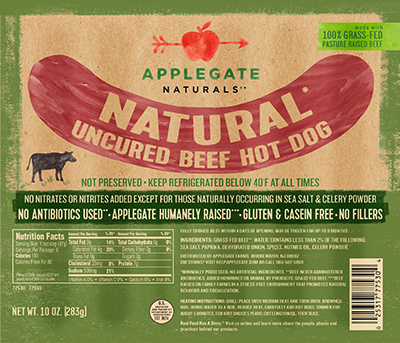 Lo and behold, my wife mentioned Applegate and I found a variety of their products at Whole Foods including a (get this..) Whole30 approved hot dog! Sounds like SWYPO, but the ingredients pass the strict guidelines of Whole30 (unvalided by them, but would appreciate them weighing in here--pun intended.) Looks like hot dog, tastes like hot dog. I've passed some pretty big emotional challenges this time around including the interview my colleague set up at a wine bar (seriously?) and a reunion with some close friends last night at an amazing roof top restaurant in Menlo Park (British Bankers Club) with their new rooftop deck. They were drinking wine that looked amazing along with a few cold beers on a gorgeous warm spring night. I had sparking water with limes. I got up to pee several times in my hotel room as if I'd gone "beer for beer" with them. In due time, my glass(es) of Pinot Noir are now less than two weeks away. Eye on the prize baby, eye on the prize. Have you done Whole30? What has helped you get through your thirty days? Runners up: Fruit--the real version. Load your fridge with that good stuff and it will curb your cravings for sugar. Coffee! Another legal guilty pleasure. My Nespresso machine works "double-time." 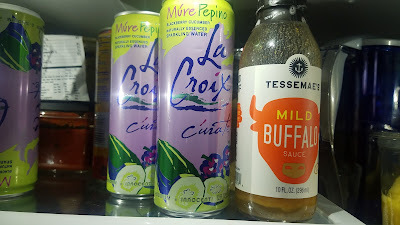 LaCroix Sparkling Water, and Ghee which is a healthy (clarified) butter-like substitute.